NO AKC Papers will be offered. hair coat, color, skin conditions, temperament or training ability of this puppy/dog. I agree NOT to take the puppy/dog to an animal shelter for any reason. diseases for up to 6 months. purchase or there will be NO GUARANTEE on Sellers Part. 4. This contract does NOT cover internal or external parasites or COMMON viruses. from a licensed veterinarian before any replacement will be made. returned within 72 hours along with all the CKC paperwork and health records..
Yearly examines, vaccines, heartworm protection and regular vet checkups. at 6 weeks. All are approved and recommend by our Veterinarian. to find the puppy/dog a loving home. IT WILL BE RETURNED WITHIN 30 DAYS AT OUR DISCRETION. THERE WILL BE A $100.00 HANDLING FEE ON SUCH TRANSACTION. PICK OF THE LITTER FEES ARE NEVER REFUNDED! All Deposits are non-refundable however may be moved to another litter. Puppies are to be paid for in full at 6 weeks of age. excess of 1 million dollars! and our experience on which to base their weight! ALLOW YOU TO PICK FROM THE ENTIRE LITTER FIRST. We do not accept checks for final payment on puppies. NEEDS TO BE TAKEN CARE OF AT 6 WEEKS OF AGE. The Teenie Weenie Weinery feeds "Diamond Small Breed Natural Puppy"
We advise you to keep you puppy on this until he/she is at least 1 year of age. 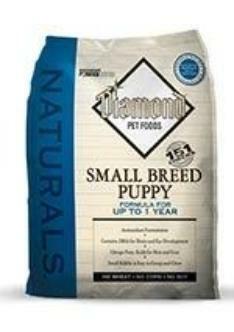 At that time Diamond offers many options for the needs of your pet. 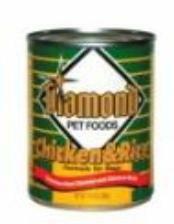 Diamond is an Excellent source of protein for your puppies growing needs. puppy on these to help insure your pets overall health. WE BELIEVE SO STRONGLY IN THE BENEFITS OF "NU VET"
VITAMINS" DAILY FOR AT LEAST 1 YEAR. We wish you many happy, healthy years with your new Dachshund Puppy! Click here to Order "NuVet"
skin and coat healthy and shiny. vitamin B12 supplement, riboflavin, vitamin D supplement, folic acid.